We are a radio control aircraft club made up of approximately 200 members that live in and around the Houston area. 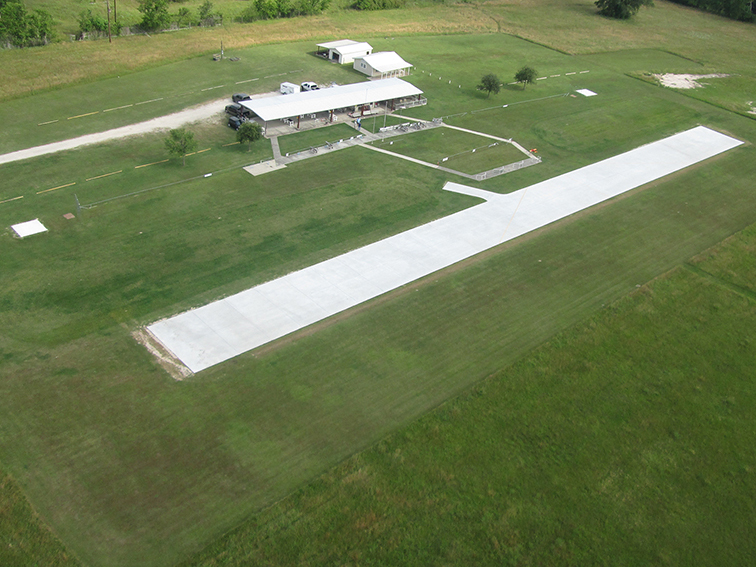 The club sits on a 40 acre stretch of Texas prairie that surround its beautifully maintained airfield and club house. The main runway is concrete. It is oriented north/south and measures 450X35 feet. In parallel with the concrete runway is a 500X40 ft. grass runway. Additionally, there are two 12X12 ft helicopter pads at the north and the south ends of the runways. Members can be found at the field almost any time of the year. There is a picnic area and a large covered pavilion that can be used by pilots and their guests to keep them out of the hot Texas weather. The club welcomes beginners as well as seasoned pilots and, members of the club are willing to assist those that would like to learn to fly. The club holds its monthly business meeting at the Conroe Friendship Center (Meals on Wheels building) in Conroe, Texas on the first Thursday of each month. If you would like to join or are just curious please feel free to attend.